Sedans are a dying breed they say, everyone is moving to crossovers and SUVs. Well, if the upcoming CT5 is anything to go by GM is clearly not giving up on the segment. Judging from the interest this sedan has been getting prior to its release, they may well be onto something. Taking some of its styling direction from the stunning Escala concept the CT5 was recently shown in dark gray and deep red paintwork ahead of the full reveal at the New York Auto Show next month. The crossover segment may be growing at an unprecedented rate but few new models have fans so excited that they start up a dedicated forum for them. That is exactly what the enthusiastic bunch at the ct5forum have done. 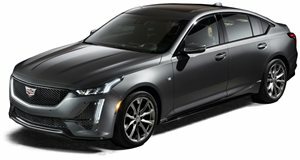 Not content with the two colors GM chose to reveal the car in, they have rendered a few images of what the CT5 will look like in a variety of different hues. The handsome lines definitely suit the darker colors better than the bright white and red options, but it is clear that this will be one good-looking looking sedan when it finally goes on sale. 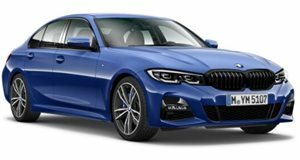 Sticking with the renewed interest in sedans, GM is also going to introduce the subcompact CT4 to slot in under the CT5 later this year, that model should compete with luxury European rivals like the new BMW 1 Series and Audi A3 but the CT5 will be up against seriously talented offerings like the BMW 3 Series and Mercedes-Benz C-Class. Looks-wise it clearly has what it takes, let’s hope that GM has put the same amount of effort into the chassis and offers some potent engines to really take the fight to the class-leaders.